Continuing from my last post, it’s clear that there is a colossal wastage of resources with respect to server utilization – both from the point of view of individual companies and in the universal sense. One of the solutions was to create smaller server units with better efficiency and advanced technology. The battle of in-house resources versus that of a Data Center is quite old. I remember the days when email servers were usually hosted in individual offices. For those with multiple offices spanning the globe, this posed a serious problem. Those tied to Microsoft technology were further hampered by restrictive policies. Typically a large organization would spread their requirement over a thousand servers, each running at 30 to 40% efficiency. As long as there was no visible wastage, most management either overlooked the inefficiency or simply bore with it because the tech guys did not seem to have any other solution. There was always the danger of the entire IT infrastructure collapsing due to overloading. No one could take chances and therefore status quo was maintained. It was not that organizations suffered this inefficiency without waging a battle. Many in-house technologies mushroomed to counter server underutilization. Clustering was one such solution. Load Balancing techniques were refined. However, the need for physical infrastructure remained and with it came the concomitant wastage. Virtualization is a brilliant concept where the physical layer of implementation was separated from the user with a software layer. Using this technology, you can use a single resource to run multiple operations as if each user owned the resource independently. If I remember correctly, the animation industry picked up virtualization first with gusto. Each animation workstation was directly linked with the datacenter for executing operations which were resource intensive. Pooling of infrastructure led to better efficiency. Essentially, clustering was a major breakthrough in animation industry. The next logical step was obviously the cloud. There is a difference between virtualization and cloud computing which is not the subject under review here. Suffice to say that the virtualization concept was carried forward to give birth to cloud computing. Here, I would like to illuminate readers about the fact that not all clouds are the same. The principles may be identical but implementation differs. AWS of Amazon is different from Microsoft offering. The perceived efficiency also varies from vendor to vendor. Though there are no standards as such, the basic building block of a cloud is a server instance. This may comprise of a CPU, memory and some cases a separate database. The cloud is an abstraction layer which separates the user from the infrastructure. There is a beautiful way in which this has been explained by some geek. Imagine that you are driving a car. You switch the ignition and start the car and rest automatically happens. If you were to understand or comprehend the working of gears and machine and how the gears engage the engine, you would never be able to drive the car. There is an abstraction layer which separates you, the driver, from the actual working of the car. In the case of a car, you can pick up a reputable brand and sleep in peace. Now this brings us to the question of how to evaluate the cloud engine which you would be driving? Various hedge fund and investment firms have expanded their cloud computing capabilities in Asia in recent years. Through the use of private clouds, thousands of hedge fund professionals around the world have streamlined their operations, reduced their up front costs, increased their resilience, and improved their response time to market fluctuations. More importantly, cloud computing providers have allowed smaller investment firms and independent hedge fund professionals to gain access to advanced, expensive IT infrastructure that is usually only available for hedge funds dealing with billions of dollars. In today’s rapidly changing investment market which requires the fastest possible computing power to handle millions of micro-transactions, access to the necessary computing equipment is a must for these firms to stay competitive. Gradually, cloud computing has gained a hold around the world with hedge funds and investment firms, and the Asian market is no exception with a drastic shift in the adoption and attitude towards cloud computing. The most important hedge fund markets in Asia, without question, are located in Hong Kong and Singapore. An important reason for these markets’ importance in this sector is the fact that they have access to high speed telecommunications and governments have friendly policies to financial firms and technology. The Asian hedge fund market is peculiar in the sense that large funds tend to struggle more than smaller funds. This may be due to smaller funds’ increased flexibility and manageability, an important factor in the modern financial markets that require quick reaction times and efficiency. To deliver positive results and become competitive, firms in the Asian market are looking to streamline their operations and gain the flexibility and agility available typical of smaller firms, an aspect that is helped tremendously by cloud computing technology. Cloud service providers have an enormous untapped market in Asia, especially those that can deliver increased security and speeds. Most of the demand among financial firms and hedge fund managers is for private cloud services. There is no doubt that the potential is far from realized in the region. Regulations in different countries have led to vast differences in the levels of cloud computing adoption around Asia. Today, many companies are taking a cautious approach to the cloud, waiting for clearer regulations from governments and for a clearer picture of the benefits that the cloud has to offer hedge funds and investment firms. What are the obstacles for cloud technology in the Asian financial market? It is often difficult for companies to enter the Asian market due to its competitive nature and the importance of already established players in the region. This also comes from increased regulations in the West, particularly in the United States and the United Kingdom. Many hedge fund managers have run into obstacles from regulations such as AIFMD (Alternative Investment Fund Directive) which have blocked them from attracting investment capital. There are also differences in how firms do business, and hedge fund managers in Asia tend to be more cautious when it comes to making significant expenditures in infrastructure and technology at the beginning of a new business venture. There is still widespread ignorance when it comes to how the cloud works and unfounded concerns about privacy have also held many firms back from taking advantage of the many benefits of cloud computing technology. Nida Rasheed is a freelance writer and owner of an outsourcing company, Nida often finds herself wanting to write about the subjects that are closest to her heart. She lives in Islamabad, Pakistan and can be found on Twitter @nidarasheed. In the media industry information changes at a rapid pace. Breaking news and hot stories are delivered to readers at lightning speeds. So media agencies need to implement agile business solutions that can scale quickly. Sensing the potential of cloud computing technology, media agencies are rapidly moving to the cloud, using new cloud-based services. How does the cloud benefit media agencies? Media encompasses a wide range of information services including: journalists, reporters, editors, advertising agencies, print material, audio/video and online content, and much more. Media is another important industry, after IT and video gaming, which requires automatic scaling features. For instance: a popular newspaper publishes a breaking story. If the story goes viral, the news website starts receiving huge traffic within minutes. Similarly, media agencies receive sudden traffic when they publish a lucrative advertisement. People start bombarding the site to take advantage of that exciting offer. There have been several instances where websites have crashed due to such an overload. It is not feasible for media agencies to set up huge resources to handle sudden traffic surges. When the media website is hosted on the cloud, resources are automatically scaled up during peak traffic hours. At the same time, resources are automatically scaled down to accommodate slower traffic trends. GMO Cloud calls this the high availability feature where the cloud becomes reliable, possesses fault tolerance characteristics and performs automatic scaling. At the end of the day, media agencies pay for only the resources used. Another benefit of cloud-based services is faster performance. Consider the same instance where a media agency has published a breaking story. As soon as traffic surges, the performance of the site goes down. But with a cloud solution, when traffic surges the resources are scaled up. At the same time, the performance of the website does not change at all. You can still enjoy faster performance and 99.9% uptime. Broadcasters and visual art agencies can publish rich audio/video streaming. Media agencies need a greater level of collaboration among their employees. When there is a breaking story, the reporter needs to report it to the agency. The publisher has to create the story and the editor must next finalize the content. When the story is about to get published, there might be additional incidents that need to be added. The head office may need to collaborate with many regional offices to incorporate these changes. Cloud-based services integrate business processes to provide access to every employee involved in that business process. By providing quick access to the required data, cloud technology allows employees the flexibility to dynamically update news and improve the performance of the agency. In addition, the increased use of smartphones allows media agencies to create mobile solutions that boost the SLAs of the company. The major concern for media people to move to the cloud is data integrity. News agencies deal with critical information that requires higher levels of confidentiality. Data security is crucial. However, cloud-based services offer secure, resilient, and scalable data management solutions. When every industry is benefiting from the cloud, why should the media lag behind? It is important that the media industry join the cloud to stay ahead of competition. A recent study made a detailed analysis of cloud computing and state of IT infrastructure in 24 countries that together account for 80% of global IT expenditure. Not surprisingly, Japan is at the top of the list with a total score of 84.1 points. But in many other aspects the findings of the study were unexpected. It looked at seven different parameters of cloud readiness and assigned a score to work out the relative positions. Singapore jumps to 5th from its rank of 10th last year. The country has made major improvements to its privacy laws, as well as user protection and innovation. Malaysia has made major gains over the last year in reducing cybercrime and improving intellectual property rights protection. As for Brazil, last year’s report noted that the country lacks cybercrime laws. This was amazing considering that cybercrime in Brazil accounted for nearly $8 billion worth in losses in 2012. Disappointingly, the country was last in the list of 24 last year. But government appears to have taken steps to remedy this, as the country has moved up two places this year, overtaking Vietnam and Thailand. There are six countries from the EU on the list. Every one of them slid in the rankings this year compared to their position last year, even though Poland, the UK and Germany improved their total score by a small margin. Could this have something to do with the slowdown in Europe? Privacy – Users must have faith that the information they store in the cloud will not be disclosed or misused. While privacy is critical, data should be portable so that the owner can move it around at will. Security – Users need to be confident that the data they store in the cloud is secure and cloud service providers must be able to demonstrate that they have implemented state-of-the-art security mechanisms. 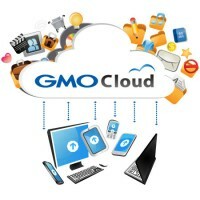 For an example, visit GMO Cloud’s Security page and see how they prioritize this aspect through their multi-level security strategy. Handling cybercrime – Just as in the real world, in cyberspace too, the law must be firmly established and strictly enforced. IPR protection – Intellectual property has to be protected so that innovation can continue without worry or loss. Support for standards – This ensures there is no lock-in and users can port their data and applications to the location that suits them best. Promotion of free trade – A number of nations are implementing legislation that forces companies to keep their data within national borders. This goes against the grain of cloud computing. National IT infrastructure – Cloud computing relies on cheap and reliable broadband access. National policies have to support this.